Thinking of running your own Bed & Breakfast in Brighton & Hove? Why not set up in a major tourist destination and only an hour from central London? Brighton has it all! 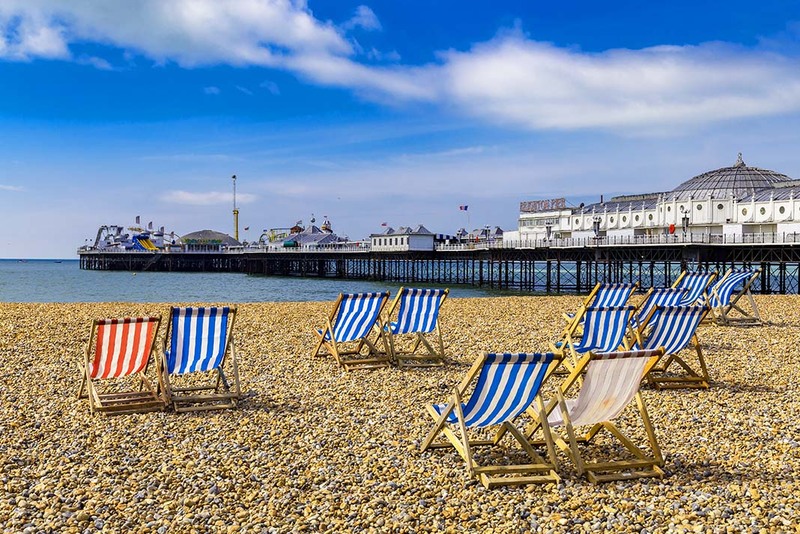 A beautiful coastline with plenty to see and do, including the Brighton Palace Pier, the grand Regency Pavilion, lots of shopping destinations and the new British Airways i360 (the tallest viewing platform in the UK). With over 11 million visitors each year, they all need somewhere to stay while they are visiting the citiy, so if you are thinking about running a Bed and Breakfast, the time might be right for you to give it a go. Before you rush into anything, make sure you consider all the facets that go along with running a business. Make sure that your home is suitable to be transformed into a B&B, or that if you are buying a home, make sure that you check that the neighbourhood is suitable for guests, and that there are no local by-laws that will make their comings and goings awkward. You will need to pay tax on any profits that you make, and you will need to know how to write up your accounts, making sure that you claim any deductions that you are allowed to while ensuring that you make any payments that you are liable for. The size of your B&B needs to be taken into account too. The bigger the house, the more rooms you are likely to be able to create: this will mean more income for you, but also means that the house will be more expensive to buy and maintain. Each room will need to be cleaned every day that it is occupied and fairly often even when empty – make sure that you can cope with the high levels of housework that will be needed. Bear in mind too that your housekeeping skills have to be bordering on the obsessive: hotels and B&Bs must be kept to standards far higher than domestic houses, so you may need to allocate even more time to cleaning. Work out how many staff members you will need. Unless you are only going to have one or two guests, or are prepared to devote all your time to the B&B, you will need to take on some extra help. Students often look for work, and they are readily available, in the long summer vacation which coincides nicely with peak tourist numbers – and they are often happy to work anti-social hours for minimum wage. Some customers are awful. It is a sad fact that some people are just unpleasant to deal with. They might make an awful mess in the rooms, be unnecessarily fussy about the food, treat you and your staff with disdain, and complain about your prices. You have to. learn to smile and apologise, even if there is no fault on your side. Hopefully, these customers will not become repeat guests, and you will only have to deal with them once! The admin can be a drag. Paperwork must be kept up to date, which can mean that you work long days, dealing with customers while they are awake and getting on with the ordering, salaries, accounts, and so on, while they are sleeping soundly. You also need to focus on marketing your business, even during the busy times. It is great when your B&B is filled to capacity and you are making maximum profits – but there is plenty of competition, and you need to be sure that your B&B is front and centre when new visitors are planning their stay. A website is all-important for any B&B, as it works constantly to advertise your business all over the world to anyone who expresses an interest in coming to Brighton and Hove. While websites are fairly low-maintenance once they have been correctly configured, you still need to keep an eye on how it is running. Analytics are your friend here, providing you will all the information you need to see how well your page is doing: how many people are looking at the site, and how many are clicking through to read your information and offers. Should your views suddenly drop, you need to be quickly able to find out what the problem is and rectify it, to make sure your website works at optimum efficiency to help you grow your business. Finally, getting your name known might be difficult unless you are canny with it. Most people look at review sites before taking a chance on resorts and hotels, and B&Bs are no different. When you have newly opened, and are sure that your service is the best that it can be, invite someone to try your B&B for free, or for a reduced price, in exchange for an honest review posted on a couple of reputable sites. Once there are a couple of positive reviews, your B&B will begin to catch the eye of tourists, and your little business will begin to thrive!